Building the life you want shouldn’t take any effort at all. The last couple of weeks I’ve laid down some pretty heavy economic analysis, and it did paint a pretty grim picture. The economy and the labour market are changing. Stable, high paying jobs are disappearing and being replaced by less-secure, lower-paying jobs. Older workers and males in particular are feeling the pointy end of these structural changes. But does that make me a pessimist? Am I going to recommend taking all your money out of the bank and buying gold bars and tinned food? No way. At the end of the day, on balance, I’m excited. I’m excited for the opportunities that are going to be coming our way, and I’m excited for our ability to rise to, and make the most of those opportunities. But I can’t promise that it is going to be easy. It won’t necessarily be difficult either, but there is an important shift in mindset that’s required. The economy is forcing us managing ourselves. We become our own bosses – with all the perks and pitfalls that entails. We get to set our own hours, but we bear all the risks as well. We can take holidays when we want but we don’t get sick leave and we’ve got to keep ourselves motivated. We’ve got to call ourselves in for disciplinary meetings because you ate all the cookies in the break room and spend too much time goofing off playing Forge of Empires. In the old, stable economy, you could find a secure niche for yourself and just ride it out. Your career could more or less take care of itself. But now the economy is taking that responsibility and throwing it back in our faces. We can lament the forces that are forcing us to manage our own careers, start our own businesses and build multiple income streams, but there’s no denying that its happening. So the only question we have really is do we fight these changes every step of the way, pining for the good ‘ol days? Or do we grab the responsibility with both hands and truly become our own masters? So this is an important and necessary shift in mindset. However, once you get past that, the rest of the journey is not as difficult as you might imagine. A lot of people think that to become a self-made property millionaire is a Herculean effort. That we’ve got to charge the enemy, like Bruce Willis, mowing down bad-guys and taking body blow after body blow. That it requires endless grit and determination. But the truth is, there isn’t all that much effort involved at all. 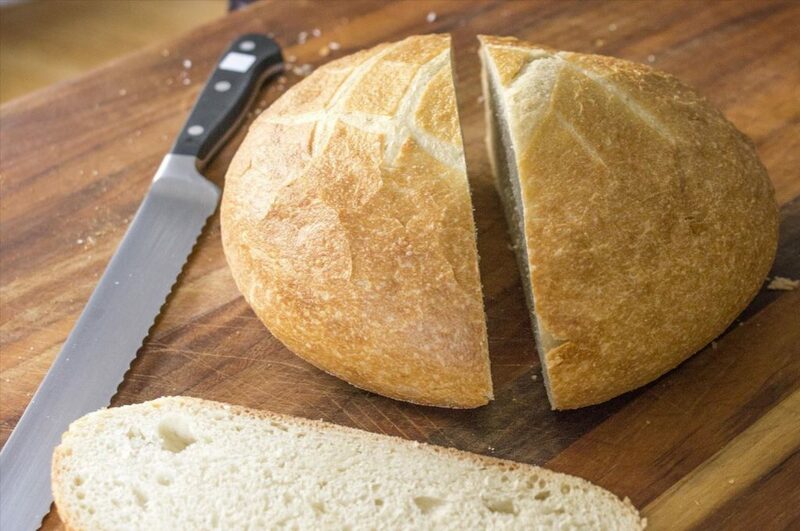 I remember when I was a little girl, I was trying to cut up a loaf of freshly baked bread. I was making a meal of it. I was man-handling the bread with my left hand, and with my right hand I was squashing the bread with the blade of the knife. This was a revelation, and a little counter-intuitive at the time. I wasn’t really cutting the bread at all. I was just facilitating the knife and helping it do its job. Something that had been really hard suddenly became really easy. It’s the same story with property investing. You shouldn’t feel like you’re forcing it. If it feels like it’s taking a lot of ‘effort’, then you’re probably doing it wrong. You’ve got to use the blade. In this case, the blade is your skills and expertise. Once you’ve skilled up, you have the structures and systems in place, you know how to do reverse feasibility studies and all that, then the rest should come pretty easily. As Stephen Covey identified in ‘The 7 Habits of Highly Effective People’, “sharpening the saw” is a key trait. Successful people are always investing in their skills – investing in self-education. So if there’s effort involved, then it’s probably at the skills level. It’s making time to listen to the CDs, work through the modules, get familiar with the tools etc. But none of this is rocket science. It’s all laid out for you. It’s just about making the time and getting it done. And that means that anyone can position themselves for the new economy. Anyone can build a stable secondary income stream. Anyone can replace their day job altogether. Anyone can live the life they want to be living. Invest in the blade, and then just let the blade do the work. How sharp is your blade?